Coffee Queen Keeps Busy: Dinner Tonight: Breakfast! Tonight my husband made yummy waffles for dinner. 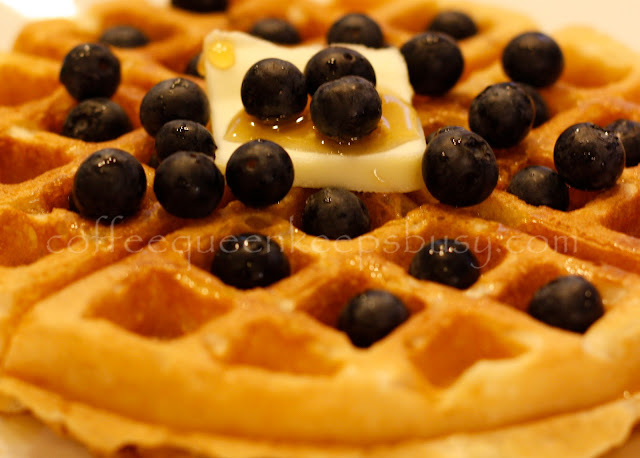 I topped mine with maple syrup and fresh blueberries. Mmmmm!